Throughout Ohio educators, paraprofessionals, related service personnel and family members are enhancing their understanding of autism spectrum disorder and how to support individuals with ASD through the use of book studies. Professional Learning Communities and online learning have provided parents and professionals the platform to collaborate and learn from each other. The following are books that can be borrowed from the OCALI lending library and can be utilized as book studies. "Our region turned one of OCALI’s book studies into an online professional development opportunity which included two webinars and six weeks of guided questions provided by OCALI using an online learning management system. This allowed teachers, administrators and paraprofessionals time to read and implement immediately strategies they were learning while also reflecting with colleagues along the way. Participants shared amazing stories in relation to their readings about their experiences in and out of the classroom with students with autism." "State Support Team 16 is a rural region, spread across many counties, covering a great distance. The feasibility of traveling to a central location for professional learning is quite often impossible for area educators. Therefore, we reached out to other SSTs, inquiring about their use of online professional learning communities. 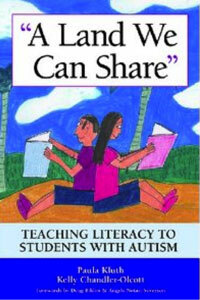 One of the regions shared a book study they developed using OCALI’s book study resources. We replicated their ideas and had an overwhelming response across our region from teachers, special education directors, principals, and paraprofessionals. The flexibility in the course design allows participants to make personal connections with others closer to their home school/district. Some decided to meet for book study discussions, while others chose online discussion groups. With so much variability in adult learners (time, obligations, interests, technology skills) and barriers such as travel, and time away from work, flexibility in the design of this professional learning was a “non-negotiable.” Our region is excited at the opportunity to partner with other SSTs, using OCALI’s book study resources, to develop more courses using free online learning management systems." This book explains the way our sensory system works and provides early childhood professionals and families with a deeper understanding of how sensory processing disorder can have a huge impact on a young child’s behavior. 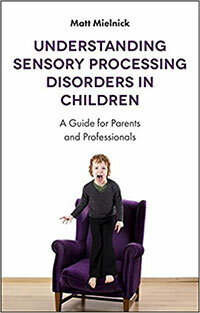 Through relatable examples of case studies, this book describes the variety of sensory processing differences that can occur in children and offers practical advice to help manage these differences. 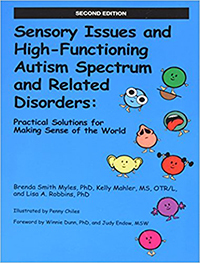 The author is an OT and provides the information to readers in a clear, concise manner that is ideal for those seeking to learn more about sensory challenges. Expanding on the first edition, this book provides information on how children with high-functioning ASD connect through their senses. Sections on assessment tools and evidence based interventions are included. Checklists and practicable forms are included to assist readers with supporting children across environments and throughout the entire day. This book provides information to parents and professionals on the eighth sensory system, Interoception. The Interoceptive System allows individuals to understand signals from their body, such as hunger, thirst, pain, fear, etc. Many individuals with autism spectrum disorder are challenged with labeling how they are feeling internally. 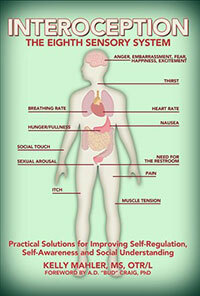 This book provides research as well as practical strategies to support individuals who struggle with self-regulation. This book, written by a well-regarded expert in the field, is filled with inspiring stories taken from years of experience working with individuals with autism spectrum disorder (ASD). 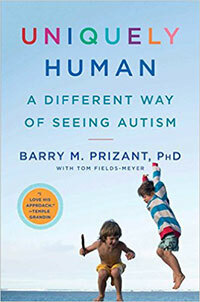 The author encourages readers to look at individuals with ASD differently, not as persons with an unfortunate disability but as people who are uniquely human. Interested in taking a 2-hour course with Dr. Barry Prizant on Uniquely Human? All proceeds will be donated to a weekend parent retreat fund. Click here to learn more. This book is full of practical strategies and tips to support families and educators of children from elementary school through high school who are challenged by weak executive function skills. Despite their best efforts, children who struggle with executive function skills may need support in areas such as organization, impulse control, self-monitoring and working memory. Given the academic and social demands students encounter on a daily basis, this book is a must-have resource for parents and educators. 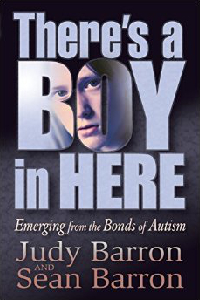 This is a view from inside the mind of autism — a dual autobiography written in point-counterpoint style by Judy Barron and her son, Sean Barron. Together, they chronicle Sean's young life and the effects of autism on him and his family. As a youngster, Sean was confrontational, uncontrollable, "isolated and desperately unhappy." Baffled about how to interact with others, he felt "like an alien from outer space." Then, at seventeen, Sean experienced a breakthrough that began his release from autism. Today he's a public speaker and reporter—and close to his family. This book moves beyond functional literacy skills and shows K-12 educators how to bring high-quality, meaningful literacy instruction to students with autism. It helps in-service and pre-service teachers understand how students with mild to significant autism can be perceived as literate and then supported to participate in literacy activities both in and out of school. This book addresses the need for social programming for children and adolescents with ASD by providing a comprehensive five-step model. The model incorporates the following steps: assess social functioning, distinguish between skill acquisition and performance deficits, select intervention strategies, implement intervention, and evaluate and monitor progress. 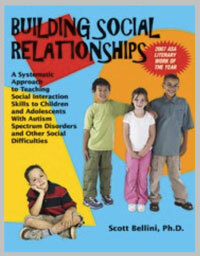 The book also supports parents and professionals with organizing and making sense of the myriad of social skills strategies and resources currently available. 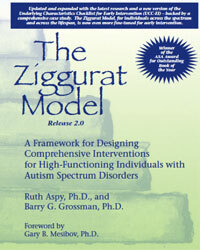 This book provides a framework for designing interventions for individuals with autism spectrum disorders. 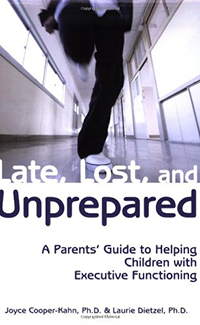 It includes the latest autism research as well as a special section on how to integrate The Comprehensive Autism Planning System (CAPS; Henry and Myles, 2007). It is being adopted by many school districts as essential tools in program planning and treatment. 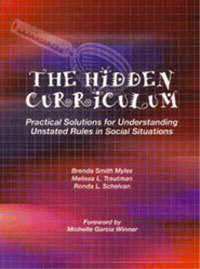 It includes assessment tools, case scenarios, and interventions developed to meet the unique needs for those with ASD.